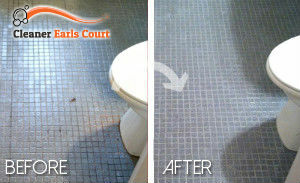 Bathrooms require regular cleaning and washing to be rid of the mould, stains, lime-scale and dirt. If you don’t have the detergents or time to sanitise the bathroom and toilet in your property you can use our trustworthy services. Our cleaners have the skills, equipment and expertise to implement excellent bathroom cleaning in SW5 that has great results. We offer regular and one-off cleaning services suitable to be used in houses, flats, hotels, guest houses and other estates. Our cleaners check the condition and size of the bathroom and toilet and prepare a quote for the customer to approve. They arrive bringing the necessary supplies and equipment for sanitising with them on the appointed day and time. We provide thorough and effective sanitising which ensures eliminating of mould, lime-scale, germs and soap scum from tiles, sinks, basins and bathroom fittings. Our staff cleanse the toilet using disinfectants, wash and wipe down all bathroom and toilet areas. 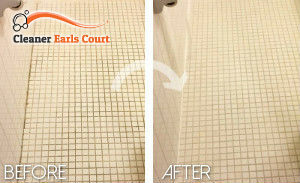 Our company is based in Earls Court, SW5 where you can use our reliable bathroom cleaning services. Use them at need or regularly to keep the mould, grime, germs and contaminants away from your bathroom. If the bathroom and toilet in your home, rented or commercial property need deep cleaning call us. Our staff will use the most appropriate detergents and preparations to disinfect all surfaces. They work with advanced steam cleaning machines which provide excellent sanitising of bathroom areas. Our company is located in SW5 where we offer our bathroom cleaning services. Use them on a regular basis and you will have perfectly sanitised bathroom and toilet at all time. We work during weekdays, weekends and on Bank Holidays without any additional fees. Call us to schedule the cleaning and disinfecting of the bathroom and toilet in your property.